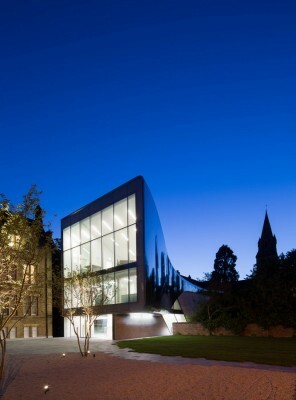 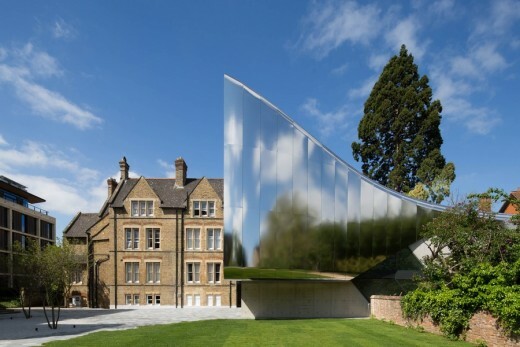 Following its recent awards from the Oxford Preservation Trust and RIBA South, the Investcorp Building, Middle East Centre at St Antony’s College, Oxford University has received a RIBA National Award 2016. 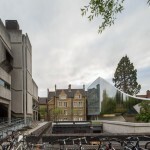 Now in their 38th year, the Oxford Preservation Trust Awards celebrate projects which contribute to the public domain and make the city thrive. 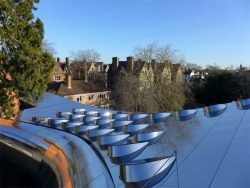 The awards encourage everyone to share in the conservation projects, new buildings, landscape and community projects, large or small, which are adding to Oxford and its setting. 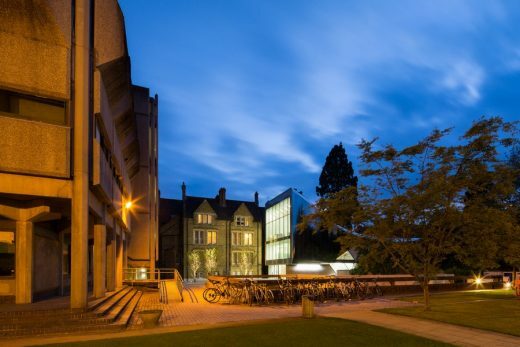 The Middle East Centre holds Oxford University’s primary collection on the modern Middle East, a world-class archive of private papers and historic photographs used by scholars and researchers with an interest in the region. 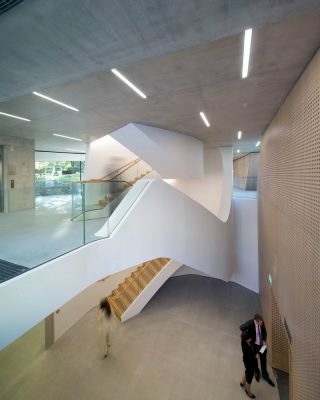 The Investcorp Building incorporates essential new facilities to meet the Middle East Centre’s increasing demand for research and academic activities. 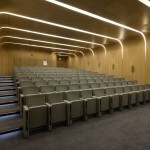 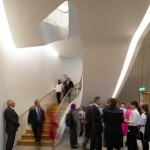 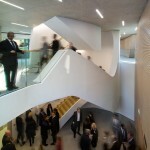 The new lecture theatre enables the centre to expand its popular programme of seminars, lectures and debates – much of which is open to both the university and the general public. 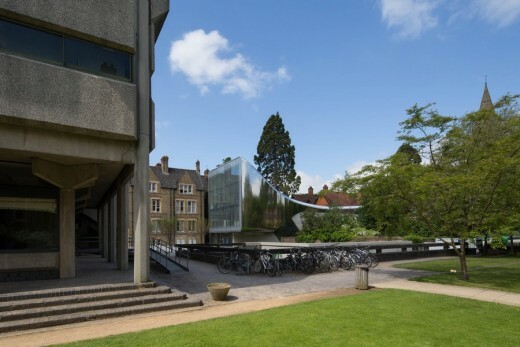 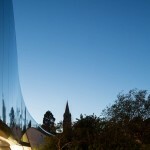 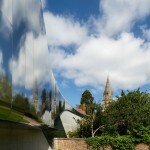 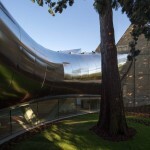 Its design weaves through the restricted site at St Antony’s College while its stainless steel façade softly reflects natural light to echo the building’s context. 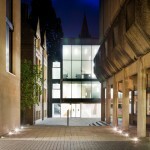 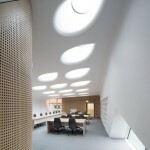 Integrating new academic and research facilities within a design defined by the existing built and natural environment of the college, the Investcorp Building maintains the detached character of the college’s current buildings, allowing them to be read as separate elements, while introducing a contemporary building that conveys the past, present and future evolution of the college, university and city. 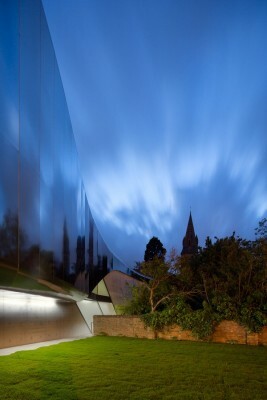 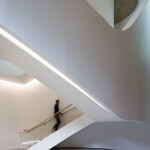 To the west, the project’s scale defers to the existing buildings of 66 and 68 Woodstock Road. 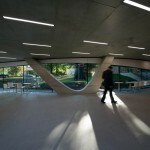 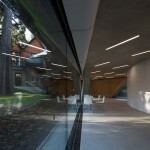 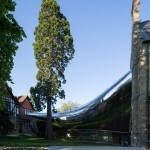 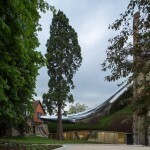 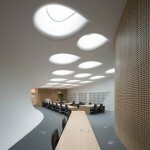 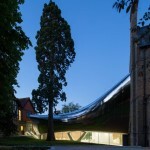 The curved form of library reading room’s western façade accommodates the century-old Sequoia tree and its extensive root network with a drainage system below the foundation slabs to ensure the tree receives enough moisture. 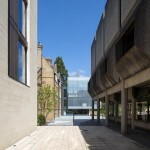 To the east, the archive reading room and librarians’ offices rise towards the height of the 1970 brutalist Hilda Besse Building it faces, yet the new Investcorp Building remains below the roofline of the adjacent 66 Woodstock Road. 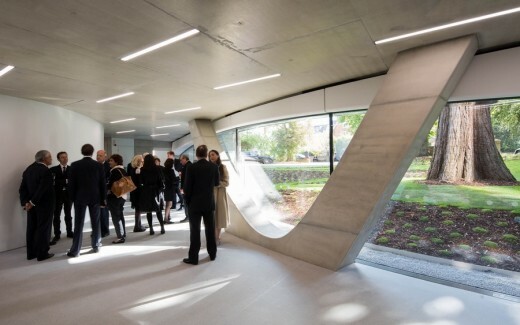 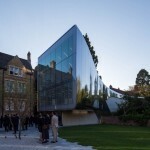 The new Investcorp Building connects disparate buildings within the college, defining a series of spaces for the centre’s renowned archive, library and seminar programmes; allowing the Middle East Centre to expand its commitment as a vital forum of research and debate.